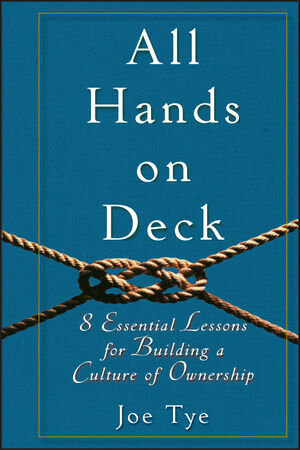 A stirring resource for today's business environment, All Hands on Deck shares the tools you need to create an organization that competes and succeeds in today's turbulent world, and the inspiration that your people need to put those tools to work. Joe Tye is CEO of Values Coach Inc., a training and consulting firm that specializes in values-based leadership and cultural transformation. He is a passionate and humorous speaker who has presented for hospitals, corporations and associations across North America. Tye is also the creator of The Twelve Core Action Values course, which many participants refer to as "graduate school for the seven habits."